FINE GAEL IS charging lobby groups, NGOs and charities hundreds of euro to exhibit at its Ard Fheis this weekend. The party’s two-day gathering is getting under way at the Citywest Hotel in Dublin this evening with thousands of delegates expecting to attend. But outside organisations wishing to showcase their work to Fine Gael delegates will face charges for exhibit stands, name cards, lighting, electricity and a range of extras. The party insists the charges are for the cost of building the exhibit structures and do not constitute a donation to the party. It insists it makes no profit and that it’s providing what is effectively a temporary exhibition space for the weekend. However some charities have privately expressed unhappiness with the charges. One well-placed charity source said they had never seen charges like this before, adding that fees are normally waived for NGOs and similar bodies. Fianna Fáil, which held its one-day Ard Fheis in Citywest last Saturday, said it waived fees for charities “working on the frontline”, while some organisations who exhibited were charged a nominal fee. It’s understood this was between €50 and €150. By contrast, a 3×3 square metre stand at the Fine Gael Ard Fheis will cost over €153 plus 23% VAT. A larger 6×3 stand costs over €306 plus VAT. Everyone who exhibits will face these charges. Exhibitors will also be charged €75 plus VAT for two spotlights and a socket and €15 plus VAT for a name card. They said they had never before seen a price list for extras like tables and chairs. Fine Gael has to provide what is effectively a temporary exhibition centre to accommodate this aspect of its Ard Fheis. The party accrues no profit. 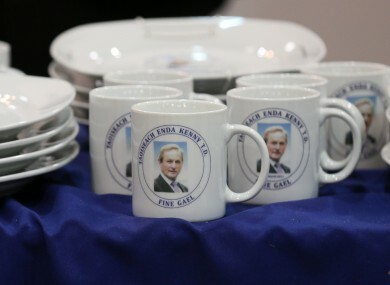 Asked for detail on its arrangements, Fianna Fáil said it charged a small number of exhibitors. They are believed to have faced fees in the region of between €50 and €150 depending on the size of their exhibit. Meanwhile, Labour has told organisations hoping to exhibit at its one-day conference in Westmeath on Saturday week that it is unable to accommodate them. The party had sought details on the requirements of groups interested in exhibiting in early January. However it later told interested organisations that for “operational reasons” it is unable to offer exhibition space. Email “Fine Gael is charging charities for pretty much everything at its Ard Fheis ”. Feedback on “Fine Gael is charging charities for pretty much everything at its Ard Fheis ”.